Thanks to all who followed @MalindaAnnHill on Twitter & Instagram and cheered her on during the Philadelphia Marathon! @MalindaAnnHill did tweet, instagram & RUN 26.2 miles in 4:00:57 (PR)! Can you help her reach her Team Lemon goal of $262? 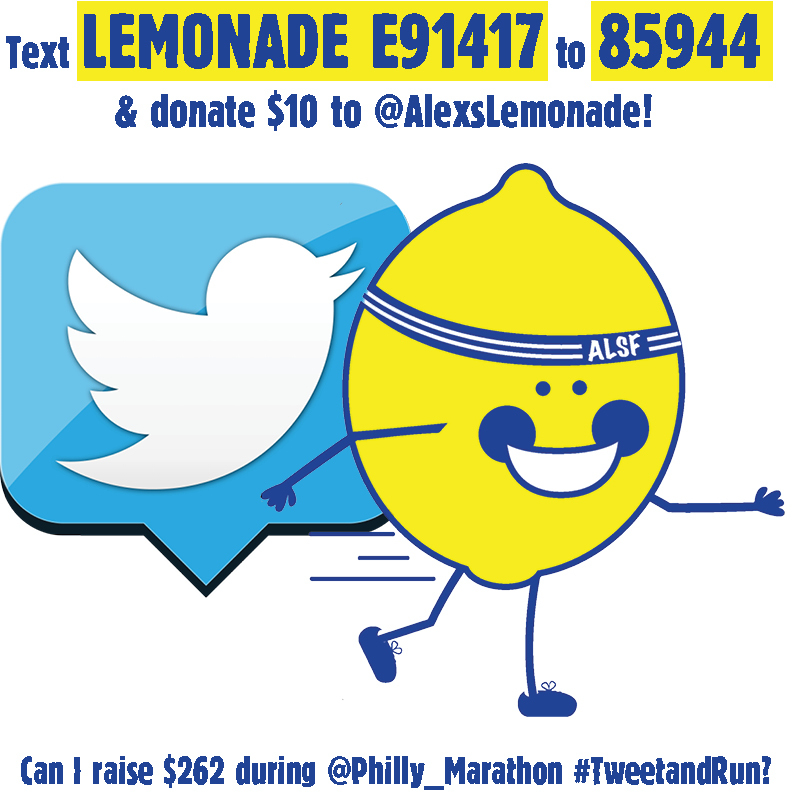 To donate $10, text “LEMONADE E91417” to 85944. "Fighting childhood cancer, one #TweetAndRun a time!"